I’ve said it before, I’m a big fan of Planet of the Apes, in all its iterations. Of course, my favourites are the original films from 1968 to 1973. Above is the TV series which came out in 1974 and ran for only 14 episodes. Having watched it again in 2016 I realise that it was very much like a lot of other TV series in the 70’s. Built to run as long as possible, with a handful (in this case 2 humans and an ape) of good guys going from place to place and doing good, righting wrongs etc. There are plenty of examples of this kind of TV show from the period. The sad thing is that the TV version of Planet of the Apes wasn’t about the story at all. It started off being about the story and then devolved into a weekly story about going from village to village. When it ran out of episodes the series didn’t even end. There was no closure at all. It was a shame really. So now I’ve only got one more DVD to watch. The animated series, which is apparently not bad. We’ll see, and I’ll let you know what I think. I’ve watched all of the original films, the TV series, and this is the final piece in the puzzle for me. It’ll be interesting to see how this one leaves things. From what I’ve read it is quite different from the previous interpretations. Of course I’ve still got the book to read too. 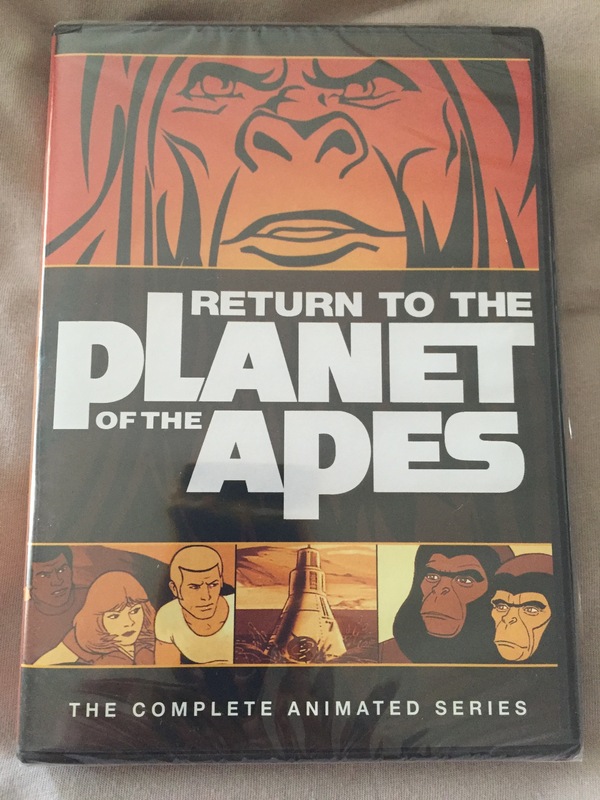 I was researching around the Planet of the Apes stories to see what other things I’d missed, and I came across this spin off which was made after the original film, and after the TV series. 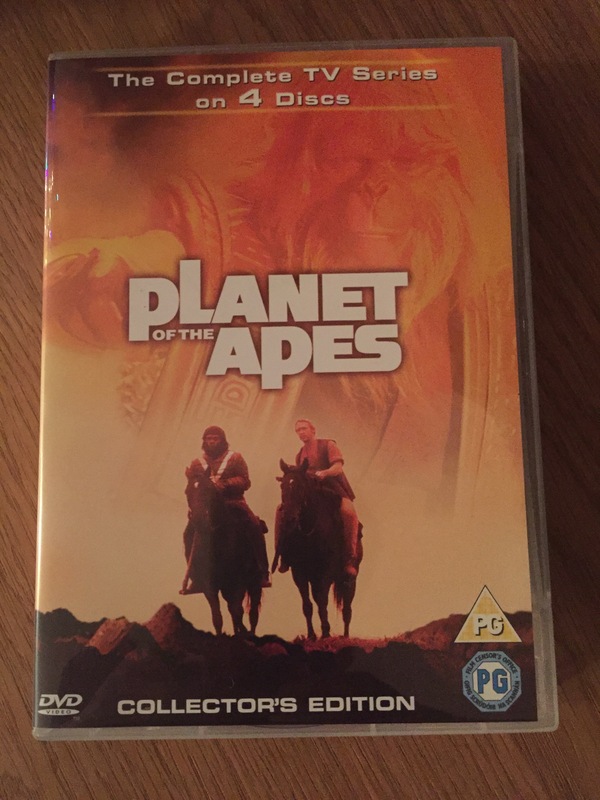 It has a different view of the ape culture where the apes are more sophisticated and have a higher technology culture than portrayed in both the films and in the TV series. Apparently this is more in keeping with the original book, which I’m sad to say I’ve never read! I must put that right soon though. So I’m planning on getting hold of this at some point soon, although possibly after I’ve watched the whole of the TV series.